What does Tickoo say about beef? How is the Samiti different than other organisations representing pandits? 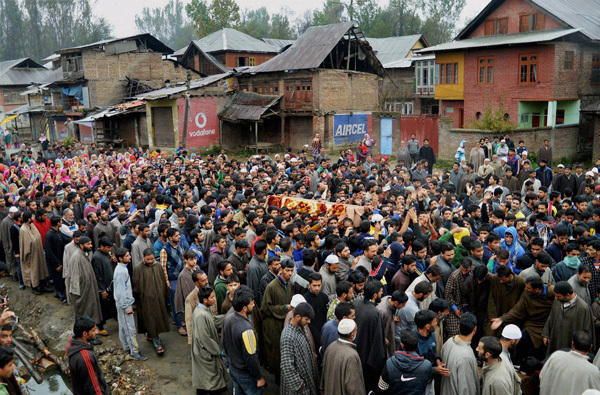 The gruesome killing of Zahid Ahmad, a Kashmiri trucker over the beef ban issue, has tipped Kashmir again into turmoil. The spectre of a fresh Jammu versus Kashmir communal divide on the pattern of the 2008 Amarnath land row looms large. But even as communal politics over cow slaughter spikes in the rest of the country, in a heartening sign, a Hindu organisation - in fact, a Kashmiri Pandits organisation - has taken an unusual stand. The Kashmiri Pandit Sangharsh Samiti has supported a hartal in the Valley over the killing of trucker Zahid Ahmad. 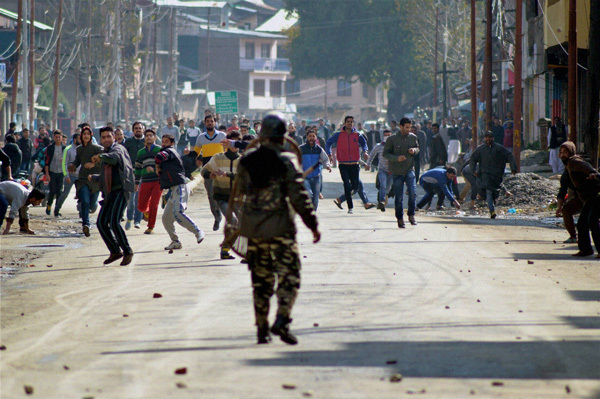 The attack triggered protests and a shutdown in the Valley. And now the death of Zahid has pushed the situation over the brink. Polarisation runs deep. But the Sangharsh Samiti has chosen to condemn and protest the murder of Zahid and support the shutdown. This is a first for a Hindu organisation in Kashmir. "We have supported the hartal because Zahid was an innocent person, making his ends meet. It is a question of humanity," says Sanjay Tickoo, president of Sangharsh Samiti. "Kashmiri Pandits in the Valley feel the pain of the minorities wherever they are and whatsoever their religion is," he added. "We demand exemplary punishment for the killers." He also blamed Prime Minister Narendra Modi silence for what is happening in India now. "I blame Pm Modi. No doubt, he has established himself internationally as a tall leader, but he seems to be faltering in India. And I blame his silence for this. If he is PM of India, why is he silent?" Tickoo asks. There is a group within the BJP that is acting a spoilsport, he says. "I believe they are deliberately damaging him, trying to steal his massive mandate. They don't want him to become the next Gandhi of India - Sakshi Maharaj, Sadhvi Prachi etc seem to be on their own dubious mission." He also believes that the BJP wants to dominate and come to power by hook or crook. Thus he doesn't want to disturb the Hindu vote and has let loose all kinds of elements to pander to the majority community's sentiments. "I also blame the majority within the majority community for its silence. A few thousand people are speaking on behalf of the community and giving India a bad name but most are silent." Tickoo speaks from experience. "I understand the fear and the pain of the minorities in India. We in Kashmir have witnessed and experienced it first hand over the past 25 years. "I don't blame the entire majority community but there are small vocal forces in every community that tend to prey on minorities. And if I reject it while Kashmiri Pandits are the target, I also reject when Muslims in India are the target." Tickoo said that the beef ban had become a political issue: The "underlying intent" was not to address the religious sentiment of any community but to derive political mileage. "I want the majority to respect the religious sentiments of minorities and vice versa. I am not against Muslims eating beef, since it is sanctioned by their religion but they ought to do in ways it doesn't hurt Hindus. Which is that they shouldn't' make a public display of it". 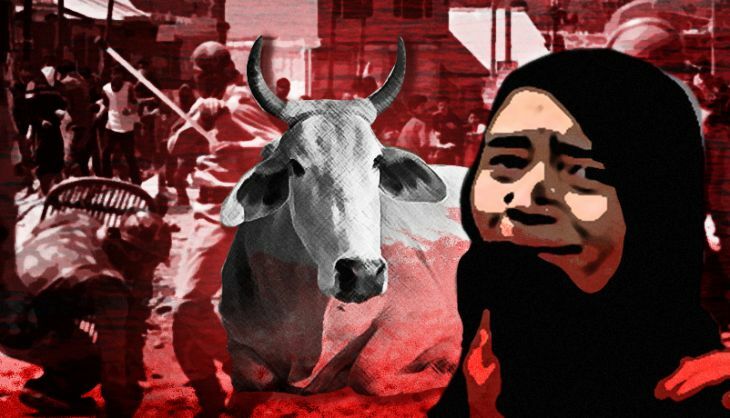 Beef and cow slaughter have been in the limelight after the Dadri lynching incident. In Jammu and Kashmir, legislator Engineer Rashid was beaten up after he organized a beef party at Srinagar's MLA Hostel. Three beef-related Bills moved by the National Conference, Communist Party leader MY Tarigami and Rashid himself were to come up for vote, but finally couldn't. 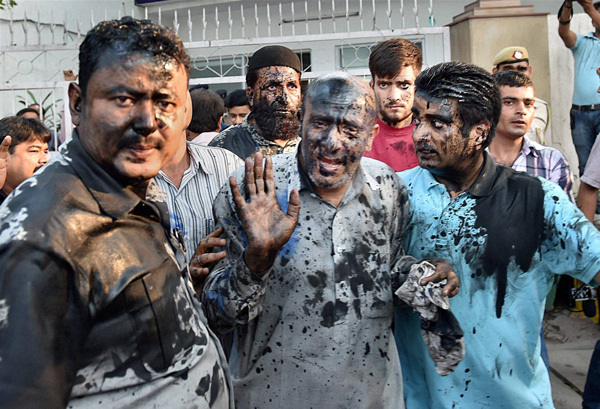 This was followed by the attack on Zahid, who was a conductor on the Srinagar-bound truck on which right-wing activists lobbed a petrol bomb on 9 October near Udhampur. Zahid suffered 70% burn injuries and was admitted at Safdarjung Hospital in New Delhi. Showkat Ahmad, the driver of the truck, was also admitted at the same hospital with around 40% injuries. The assailants broke the windshield of the truck and threw a petrol bomb inside. Showkat, Zahid and the Rameez, another cleaner, were sleeping at the time. While Rameez jumped out in time to escape unhurt, Showkat and Zahid were caught inside. The last words of Zahid were: "Mother is waiting for me at home. What are we doing here? I have to take the paddy home from the field." "He kept repeating these words to himself before his last breath," said his neighbour Mohammad Iqbal Dar who was attending on him at the hospital. The Sangarsh Samiti, representing the Pandits of the Valley, doesn't share the claims of Jammu-based Pandit organisations such as Panun Kashmir that the community suffered a genocide in Kashmir. However, they too reject the official figure that only 219 Pandits were killed. The Samiti has revised the number to around 650, after a survey done by Samiti through 2008 and 2009. Of them, about 75 were killed in 1990. According to government data, 24,202 Pandit families among a total 38,119 fled the Valley in the wake of the separatist turbulence in 1990. In 2010, Raman Bhalla, the then revenue minister, had told the state Assembly that 219 Pandits were killed in Kashmir from 1989 to 2004. He also said that from 2004, no killing of any person from the community had taken place. In the Valley, the Samiti has conducted its activities with a measure of freedom, albeit speaking primarily for the rights of the Valley Pandits. The organisation wants them to be treated on a par with migrant Pandits. "Why do only Pandits who left the Valley get all the attention and financial incentives," says Tickoo. Why not also us, who stayed back right through and experienced the violence first hand?" The Samiti represents Pandits in the Valley who didn't migrate following the outbreak of militancy in 1989. Now, there are fewer than 3,400 Pandits in Kashmir. Their politics is often not aligned to their brethren who left in 1990 after a spate of killings and the harassment by militant separatist outfits. First look: did you like the Housefull 3 gang?